One thing I've learned from these races is that positioning can make or break your race very quickly. It's so hard to get to get to the front with so many racers! It gets so strung out with the crosswinds and the group breaks up. You are also more likely to get stuck behind crashes the further back in the group. Hopefully I'll figure out in the next few races! 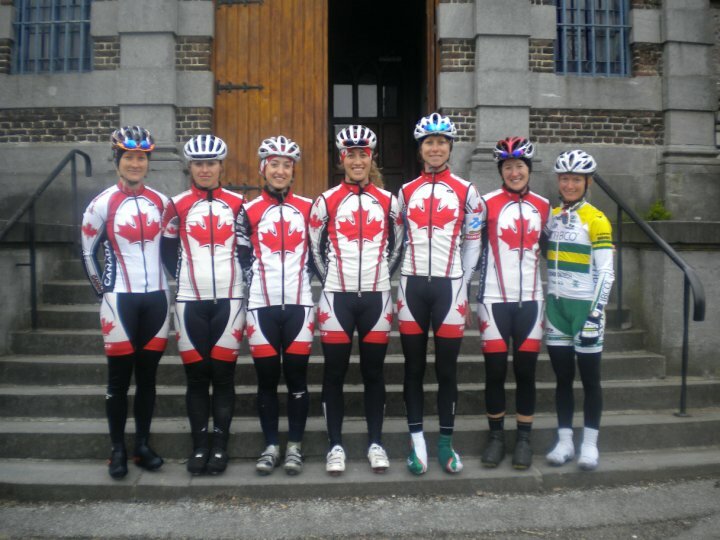 This past Wednesday, the Canadian women's road team went to check out the Fleche Wallonne course for next Wednesday's big World Cup race. Ruth Corset, the current Australian National Champion came along with the team to check out the course. In the morning, we drove an hour to the little town of Huy. It's a very cute town set in a valley with historic buildings and beautiful architecture everywhere. We even passed by a market selling live chickens downtown, not something you see every day. 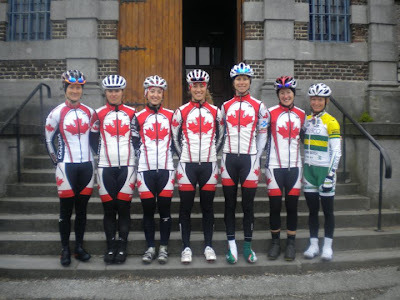 Our ride started from the top of the famous Mur de Huy, which is the finishing climb for the race. There were a few stops and u-turns while we deciphered the route directions, fortunately we got it all figured out and rode the majority of the race course. Compared to the flatness of last weeks races in Belgium and the Netherlands, this will be quite a hilly race and more suited to the climbers. There are 8 major climbs which are accompanied by some fun narrow and twisty descents. The 110 km course passes through many quaint little towns in the surrounding area, one town even has a castle with a real moat! To end the ride, we climbed the Mur de Huy which makes for quite a steep, spectacular finish! We wrapped up the day with some tasty baguette sandwiches from a local cafe before heading back to the base in Tielt-Winge. Next event on the schedule is the Ronde Van Gelderland in Appledorn, Netherlands which is actually later on today!